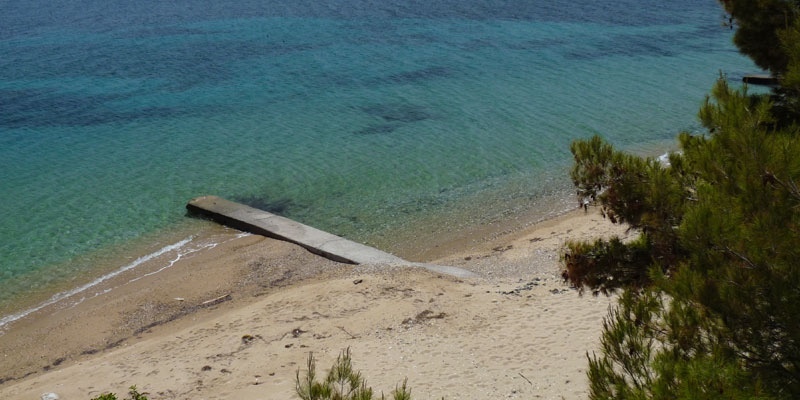 Vatopedi beach is a long beach west of Metamorfosi in a small community called Vatopedi that is famed for its monastery. This beach attracts few people since there are only a few apartments in the area, it is mainly used by locals. It is a very quiet area and we could consider it as practically an isolated beach. This beach is actually not a bad option so it’s unfortunate that a beach bar hasn’t been set up. 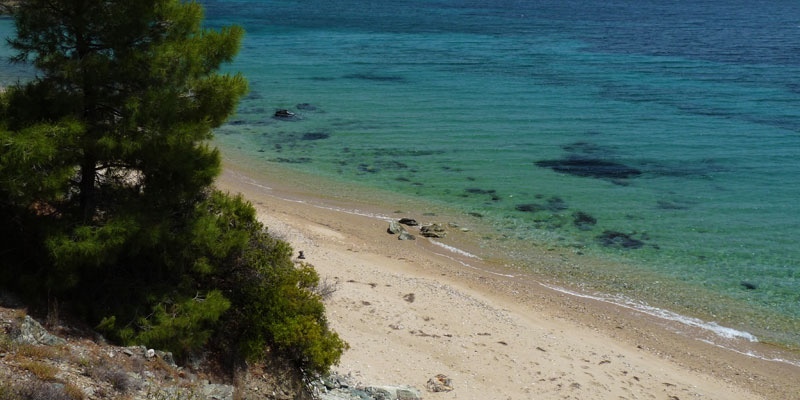 There is no development on Vatopedi beach except at Camping Sithon closer to Metamorfosi. The beach is a sand/pebble mix and the water is the same. 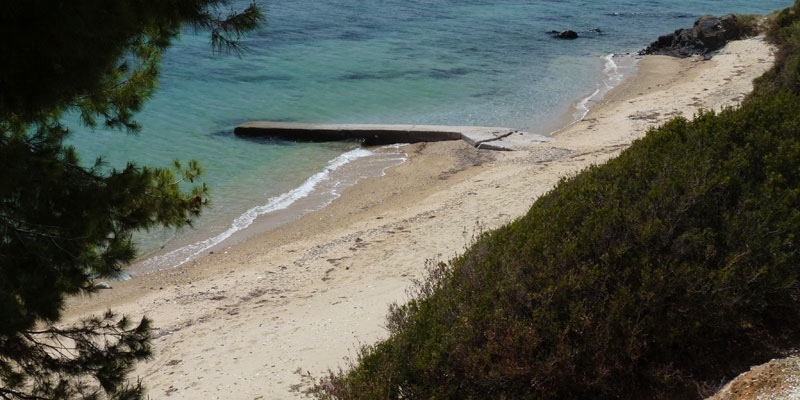 It is quite shallow and clear and the water is good for swimming, just be careful of rocks in some areas. 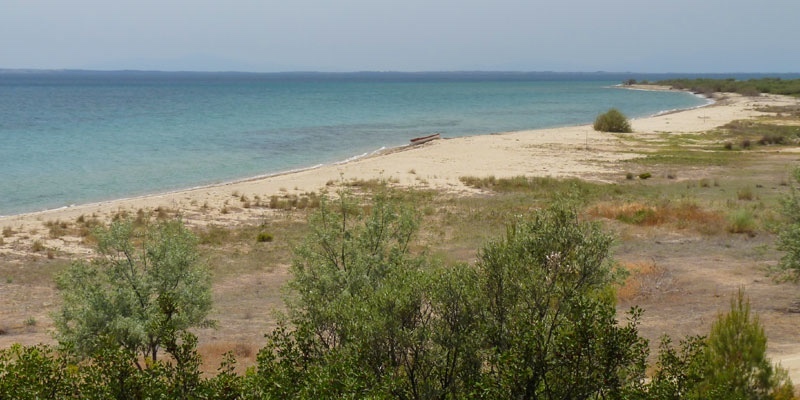 Driving from Thessaloniki you pass Psakoudia and after a couple of kilometers you will reach the village of Vatopedi. At this point turn right to the sea and follow the road. The road bends left towards Metamorfosi, after the bend take the next right and follow it to the beach. If you want to be alone on a beach, Vatopedi may suit your needs.